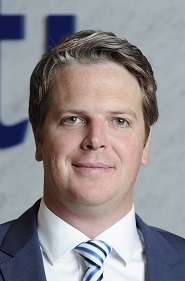 Citibank Head of Broker Distribution has moved to St George as State Manager and Aussie gains former CommSec General Manager Customer Experience. Steve’s previous positions include General Manger Intermediaries at St George Bank and at Suncorp Bank. He brings extensive executive level experience in third party mortgages and the development and establishment of the ANZ Mobile Lending franchise system. Prior to this appointment, Aaron was Citibank’s Head of Broker Distribution and brings with him more than 15 years of experience in financial services and a reputation across the industry for reeling in results. Moving from CommSec where he was General Manager Customer Experience, Richard will be at the helm of a 40+ team from 9 February and brings to the table over 20 years’ experience in marketing, product, strategy, digital and user experience. Previously AMP Director Brand, Helen has held various roles with AMP over the last 15 years and has worked in financial services in Australia and the UK for BP, Royal Bank of Scotland, Lloyd’s and Westpac. 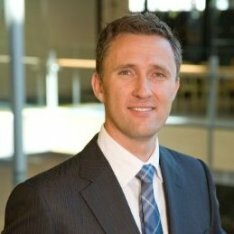 AMP COO, Mr Paul Sainsbury said, “This role will be key in driving deeper customer engagement as AMP moves towards being an increasingly customer driven organisation.”. Prior to this appointment, Leith Wickstein was Westpac BDM and Nathan Windebank a former financial planning head. Choice CEO, Mr Stephen Moore said, “Our aim is to help members every step of the way while they grow their businesses. Having Nathan and Leith onboard provides members with specialised and tailored practice management and recruitment guidance,” said Moore. Should you be on this list? Have you got promising new hires or promotions you want to tell brokers about? Here's how.